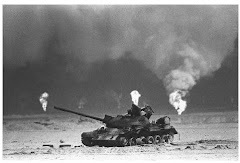 The following is a guest column by Mike Jarrett, a veteran from Virginia who attended yesterday's meeting of the Research Advisory Committee on Gulf War Veterans' Illnesses (RAC). Recently I sent you a letter thanking you for your inquiry on my behalf regarding the recent changes to the charter for the Research Advisory Committee on Gulf War Illness (RAC). In that letter I started that I’m hopeful that the fundamental work of the committee will not change as stated by Timothy J. O’Leary in the Department of Veterans Affair’s response letter. Today I returned home from the RAC meeting at the Department of Veterans Affairs in Washington DC, where I listened to the testimony of Physician Nancy Klimas who heads the Institute for Neuro Immune Medicine at Nova Southeastern University in Miami, and leads Gulf War Illness research at the VA Medical Center in Miami. Klimas stated that her clinic appears to be making headway in using research-based methods to treat ill veterans of the 1991 Persian Gulf War. This testimony gave myself and other sick veterans at the meeting a sense of hope. Unfortunately our sense of hope faded quickly when Klimas said that she has been using some of her methods for over a decade, but none of them have been disseminated throughout the VA system for use in other clinics. She said she has asked her patients to be their own advocates because many physicians (within the VA) don't believe the illness is anything but psychiatric. Others, she said, don't have time to read the training manual VA put out to help them care for Gulf War veterans, they don't have more than 15 minutes to deal with each patient, or they don't know how to refer sick veterans to specialty clinics where they can get care — and some simply don't care to learn. I now understand why I and other Gulf War veterans feel as though the Department of Veterans Affairs is ignoring our health issues. I’m hopeful that my words will provide you with insight as to the reasons sick 1991 Persian Gulf War veterans are communicating with their elected officials asking for help (legislation). I will echo the sentiments of Mike "be your own advocate" with your PCP. One of the many things I have found working with Keith Nordeng is that the Gulf War training program by the VA is in VISTA (the computer data collection of the VA) for your PCP's. 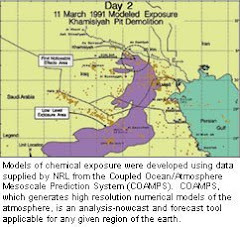 This is extremely helpful when talking with your Primary Care Physician as then they have first hand knowledge of the many environmental exposures in the Gulf War area of operations. In 15 minutes you cannot really explain enough for your PCP to understand. One thing that has helped me is finding the research papers by Googling and printing out one page at a time to go over with your PCP. I have done this over many years and does work although the process is slow. Keep feeding the PCP at every attempt to bring them up to speed, making sure you tell them who the researcher is that published the paper. I know this is not something many want to do but "must" in order to bring this to light within the VA. Dr. Klimas also said that they could put together a training process that would only take a year for getting every VA knowledgeable in the area of GWI. This is not brain science just common sense. Thank you for your comments Mike Jarrett and hope together maybe we can "enlighten" the VA with everybody's working together.